A charter school provides a learning environment that will improve scholar achievement. Leman Academy of Excellence is an independently operated, tuition-free public charter school with open-admission policies. A charter school is a public school granted greater flexibility in its operations and founded by one or more individuals. Additionally, charter schools are created to provide additional academic choices for parents and scholars. Is Leman Academy Part Of A School District? In Arizona, Leman Academy of Excellence is its own educational institution and therefore is not part of a school district. This means Leman Academy does not follow the school calendar, policies, or curriculum of other schools or school districts. Leman Academy abides by the rules and regulations set forth by the Department of Education and State Board for Charter Schools and reports directly to these two groups. Most importantly, there are no boundaries regulating scholar enrollment to attend Leman Academy of Excellence. Therefore, scholars may attend Leman Academy regardless of their address or location. In Colorado, Leman Academy of Excellence is chartered through the Douglas County School District (DCSD) and is considered a charter school of that school district. However, LAE-Parker is managed by an independent, non-profit Board. Leman Academy abides by the rules and regulations set forth by DCSD and delineated in the charter contract between the independent, non-profit board and the school district. Scholars of DCSD have preference in the LAE lottery over scholars from other districts. Charter schools are public schools of choice, meaning that families choose them for their children. They operate with freedom from some of the regulations that are imposed upon school districts. Charter schools are accountable for academic results and for upholding the promises made in their charters. They must demonstrate performance in the areas of academic achievement, financial management, and organizational stability. What Rules Must Charter Schools Follow? Completes financial audits each year. 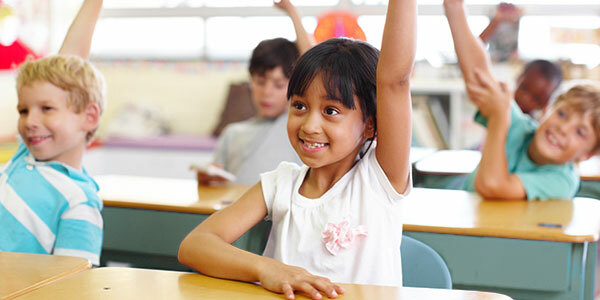 Provides a free education to all enrolled children. Holds children accountable for school attendance. Administers the state-mandated standardized tests. Does not charge tuition for enrollment or attendance. Adopts a school calendar according to the state guidelines. Keeps copies of employee fingerprint clearance cards on file. Implements the state standards within the school’s curriculum. Provides services to children in the special education program per the IEP’s. In this era of increased accountability, nearly every senior administrator has begun using data to help drive instructional practices. But what exactly does data-driven instruction mean? Here are the four major areas of work related to data-driven instruction: culture, assessments, analysis, and action. (Source: Association for Supervision and Curriculum Development – ASCD). CULTURE: All elements of a school’s culture, including scholar aspirations and a code of conduct that promotes positive learning behaviors, benefit from the use of scholar learning data. Improving instruction is nearly impossible without it. The data-driven cycle of assessment, analysis, and action, which is indispensable for increasing scholar achievement, must be deeply embedded in the school’s culture and a top priority for school-wide improvement. Many school leaders use a simple but highly effective yearly data calendar, which they display publicly and refer to constantly, so that everyone in the school community—including scholars and families—knows when important steps in the data cycle will take place. Even more powerful is the principal’s plan to carve out time for the assessment, analysis, and action, as well as any professional development teachers need to succeed in each part of the cycle. A clear plan can create a sense with teachers that professional development “will help us improve for our kids”. To get everyone in the school working toward the same goal of preparing every child for college and career readiness, teachers must adhere to the same standards and assessments for all scholars in a given grade level and content area. This common thread is essential if teachers are to collaborate on data analysis, professional development, and strategies for re-teaching and improving scholar learning. ASSESSMENTS: Many schools and school systems feel a great urgency to have useful progress data now. That sense of urgency isn’t a bad thing, but it often means school leaders purchase or design assessments without sufficient time to think through their content. 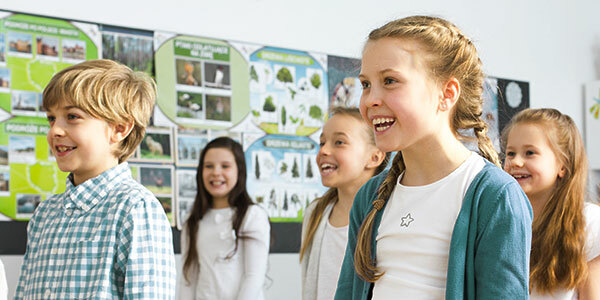 For an interim assessment to produce useful information about how scholars will perform on state tests, each question needs to be clearly aligned to a standard. Moreover, the questions should reflect both the rigor and format of the state test if they are to guide teachers about how much scholars are expected to know and be able to do. In this way, assessments clearly define standards and render them meaningful. When selecting or designing an interim assessment aligned to state standards, highly effective principals and instructional coaches work with teachers to drill down to this level of specificity, and they continually push as far beyond the state standards as their scholars and teachers are ready to go. For example, imagine a school that must meet the standard “multiply and divide fractions”. Scholar mastery of this standard will depend a great deal on whether scholars confront assessments with simple fractions in a number line or with complex fractions embedded in a multi-step word problem. ANALYSIS: Focusing on the individual questions in an assessment is also important when analyzing results. Data reports usually provide an overall snapshot of how the scholars performed on specific standards, or whether scholars answered an individual question correctly, but they generally lack critical information about the wrong responses scholars chose or wrote (often referred to as “item analysis” reports). With this second data point, teachers and principals can dig much deeper. They can identify the specific challenges individual scholars or groups of scholars are facing, and they can pinpoint their misunderstandings. Getting to this deeper level of analysis is critical for focusing subsequent actions in the classroom. ACTION: Collecting and analyzing scholar learning data from assessments is important but only becomes meaningful when combined with effective action. Starting small is often the best way to create real change in instructional practice, particularly for new teachers or those new to data-driven instruction. One strategy we have seen many principals use effectively focuses on two steps. They first have teachers start with whole-group re-teaching for an entire grade level or content area. This allows teachers to focus on a few key standards the majority of scholars are struggling with and on their own professional development around teaching for mastery of that standard. This way, teachers avoid being overwhelmed by creating re-teaching plans for multiple small groups and individual scholars. The second step of the keep-it-simple strategy has grade-level and content-area teachers coming to an agreement on what standards need to be retaught, when each standard will be retaught, and how to determine scholars mastery after re-teaching. Agreement on the “what”, “when”, and “reassessment” plan ensures that standards get implemented consistently with the entire teaching team. The two steps provide teachers with a digestible approach to “action” and allow school leaders the ability to monitor implementation. For our grade level teacher teams to be successful in this work, the administrative team of Leman Academy must be creative and vigilant about leveraging the school’s most valuable commodity— time. To that end, we have put forth yearly planning that includes establishing a data calendar and a comprehensive professional development schedule/program for our instructional staff that is geared toward maximizing instructional time for each of our teachers and learning time for each of our scholars.